Built for those with special needs in mind to create opportunities for safety and cooking skill progression to blossom into independence. With various support tools, students can find independence in cooking full recipes with limited support compared to typical recipes found in other cookbooks or online. Print off recipes as you need them or upload this e-book to your SmartBoard or projector screen. This adaptive cookbook is for use in adaptive cooking classes for those with special needs, in special education environments, and can be used one-on-one or in small group settings. With this cook/workbook, make cooking classes safer, easier, and more effective in learning life skills and independence. All recipes are gluten, dairy, and refined sugar free. Do you think your students with special needs can benefit from this? 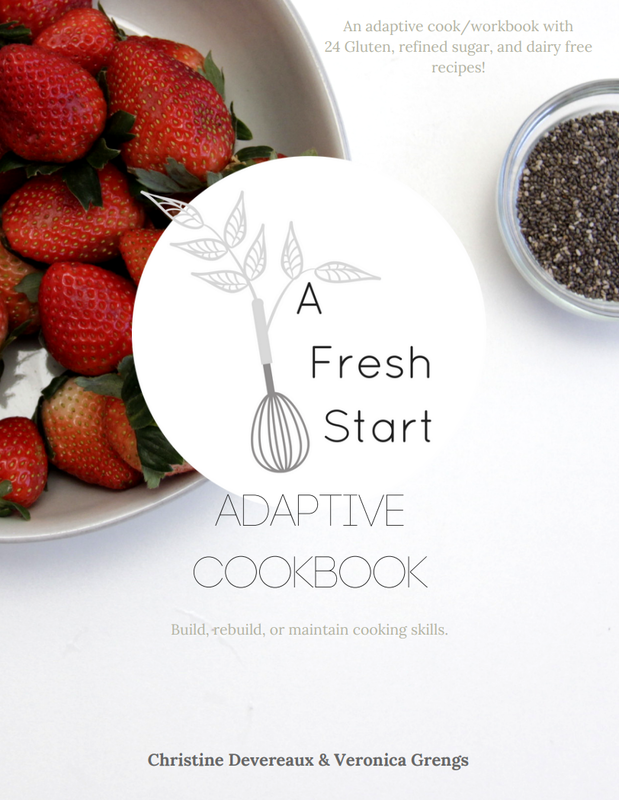 Join the email list to find out when this adaptive cookbook and workbook for special education teachers is available!